I am more than a little excited today to announce a new creative team! It's been a really challenging proposition and I am about a month overdue in naming the team! Why? Over 500 crafters, artists and bloggers from around the world sent in submissions. I was overwhelmed at the task...and had to call in some support to help with the decision making process. You know, if it was up to me, I'd choose EVERYONE! If you submitted art, and weren't selected for the team this time, thank you so much for your submissions, I loved looking at every single one. And, keep in touch as we're going to feature guest contributors regularly. I am so very proud of the team we've assembled...CONGRATULATIONS to all! We have a very talented, well-rounded, world class team. We have members from Germany, Italy, Canada, Ireland and the USA. 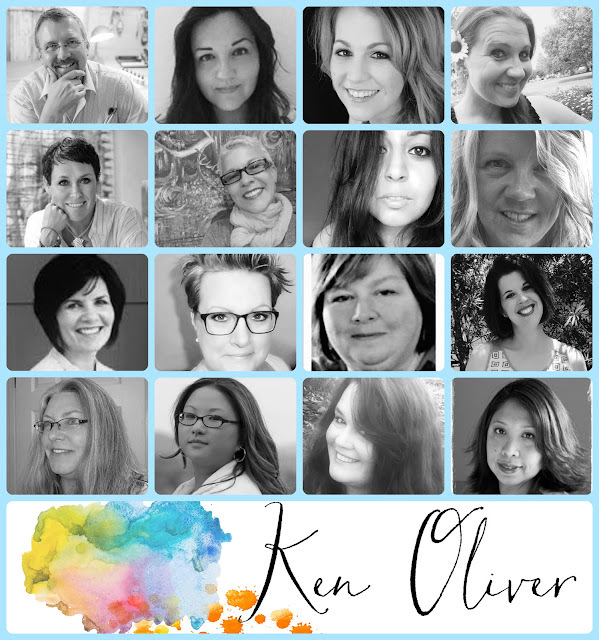 And, the new team features mixed media artists, stampers, card makers scrapbookers, lifestyle crafters and painters! We wanted to offer a wide variety of arts and crafts "disciplines" to make it really interesting every day! I have extremely high hopes for the team...each one is so talented and I am so grateful that they've chosen to work with my products. And I know that you're going to love the works of art they create. I started to do a bio for each one of them on this post, but I decided that we should "spotlight" each one of them separately to introduce them and let you know a little more about each team member. I'll start the "spotlight" blog posts next week, so make sure to check back. I'll send out Facebook reminders too, so you'll make sure to catch every post. In the meantime, follow them on Facebook...follow them on Instagram and Pinterest! You are gonna love what you see! Please join me in wishing everyone CONGRATULATIONS! I am telling you...this team is gonna rock the house! Congratulations to all the Design Team members and congrats to you Ken. Looking forward to all the new artwork from your very creative team. Congrats to everyone! Especially my friend Jeanne! Congratulations on an amazing team!! Congratulations team.. I see lot of my friends here, Well done! Congratulations to each and everyone of you! Looking forward to seeing all the new artwork!! Fellow artist here from CarlottaART. Wishing each and every one of you a big Congratulations!!! I'm looking forward to seeing what you create. Great talented team! congratulations to all!!!!!!! Congratulations, Ladies! So excited for you. Congrats! to all the design team members. Congrats on your team! You are all talented! You are truly blessed! I so enjoy your work.